LONDON, England - Love is in the air at Corinthia Hotel London this February with a number of ways to spoil your beloved at the five-star luxury hotel. Located in the heart of the city, Corinthia London has designed a bouquet of bespoke romantic experiences to steal the hearts of its guests. This February, head to The Northall Bar and enjoy the Perfect Pairing of complimentary Valentine’s macarons with each two glasses of Cuvée Rosé Laurent-Perrier Champagne purchased. If that has not satisfied your sweet tooth, The Lobby Lounge will be serving an exclusive Valentine’s Afternoon Tea under the Baccarat crystal chandelier. Upgrading from the traditional box of chocolates, delicious fancies have been designed to captivate the eyes and taste buds. Special Valentines menus have been created in both The Northall and Massimo Restaurant, to be served over the Valentine’s weekend for an intimate fine-dining experience. Celebrating the great British kitchen, The Northall will host a Valentine’s dinner on Saturday, February 13th, and a Valentine’s brunch on Sunday, February 14th. If it is Italian passion you seek, Massimo Restaurant will serve a sumptuous Valentine’s lunch and dinner on Sunday, February 14. While in Bassoon, our destination live music bar, two unique cocktails have been added to the menu exclusively for Valentine’s – Romeo, and Juliet. Whether you prefer strong and spicy tipple, or delicate and fruity, both cocktails are blushing red in color and designed for men and women. The award-winning ESPA Life at Corinthia is launching a Private Spa Suite Program for couples this Valentine’s. The bespoke and indulgent package, Valentine’s Time to Share, includes three hours of exclusive use of a spa suite, two hours of treatments per person, a complimentary glass of Champagne and a delicious, healthy lunch. When the night calls, check-in to a Superior King Room for a one-night Weekend Stay in the City for £450 (approximately $639.29). For the last word in Valentine’s getaway, opt for the Ultimate Weekend retreat package for £7,000 (approximately $9926.52), which includes two nights in a River Suite overlooking the Thames, two spa treatments, two complimentary dinners, breakfast, and a bottle of Laurent-Perrier Champagne. If you are still stuck for gift ideas, treat your other half with a Corinthia London gift voucher, which can be used across all outlets mentioned above. With love from, Corinthia London. 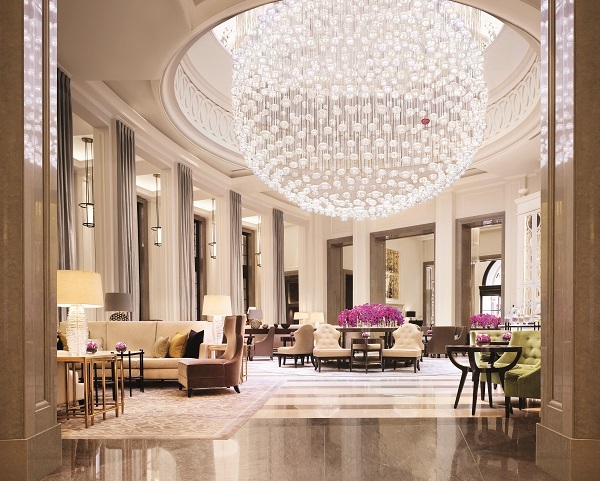 Housed within a Victorian building, Corinthia Hotel London features 294 rooms, including 40 suites and 7 penthouses, offering sweeping views across London’s most popular landmarks. Corinthia London provides unrivalled world-class luxury with superb ground floor offerings, including The Northall restaurant, serving the best in British produce throughout the day; modern Italian cuisine at Massimo Restaurant & Bar; and the musically-inspired Bassoon Bar. The new Garden Lounge offers all-day dining options in an al fresco David Collins Studio designed garden landscape, and a comprehensive cigar and spirits menu for late night entertaining. Corinthia London is also home to the flagship ESPA Life at Corinthia, a next-generation spa housed across four floors, together with a hair salon by Daniel Galvin. The hotel boasts the largest room sizes in London, original restored Victorian columns and tall windows that let in swathes of natural light. Cutting-edge technology in rooms and meeting rooms allow for recording, mixing and broadcasting from dedicated media rooms. Corinthia London is a 21st-century grand hotel located in the heart of London, created by experts with a passion for craftsmanship and an understanding of world-class service. 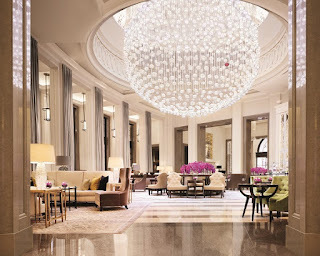 Corinthia London is the ninth of Corinthia Hotels’ collection of five-star hotels founded by the Pisani family of Malta.